I LOVE (ok really, really like) Sony mirrorless cameras. Finding a proper 50mm lens for Sony mirrorless has been a struggle up to this point. What a name. What a lens. This lens was a weird find. Had not heard of it online. Had not seen any press releases. Had not seen any reviews. Never heard of it. This was found by the power of the local camera shop. It sat there under glass staring at me every time I stopped through until one day I threw it on my camera. This happened. New Lens to Me: Zag instead of zig. An affordable vintage Takumar 50mm f/4 macro. Save money. Love a good deal. Breathe new life in to old gear. Not the first time I found an affordable macro option. See my frankenmacro blog entry for Sony full frame. I really like macro lenses, but at times they are difficult lenses to justify. Due to their sharpness they do tend to make great lenses for other uses, even portraiture, but owing to their long focus reach they can be a challenge to use with autofocus. Focus limiters do help, but quick focus at normal ranges is not usually their thing and macro shooting still usually favors manual focus. Fujifilm does not yet have a true factory macro yet since the 60mm does not focus down to 1:1 (cough, not a macro), may not be expensive but is definitely not cheap considering it’s rare distinction of being a relatively unloved Fujifilm lens going on reviews. The Zeiss Touit 50mm native mount option is a well reviewed lens with actual 1:1 macro capabilities, but costs just under a grand and I have a host of excellent lenses around that focal length already. Plus as is usual most recommend using manual focus when shooting macro… So why not get a manual focus lens? Having recently acquired a fantastic Zhongyi adapter that allows native full frame viewing angles with M42 vintge lenses while also adding near a stop of light I zagged to the Takumar 50mm f/4.0 Macro lens. Already familiar with what Takumar lenses can do this was an easy decision. Reminding me of one of my favorite previous macro lenses from Pentax it has a snoot (highly technical I know) that juts out making it’s macro intentions clear. I won’t take long on this one because it counts high on my no-brainer list. Wanted a ring light. Why? Wanted to play. Oh, and circular catch lights. What to do? First up. The standard go to, the Diva Ring Light Nova. Cool, but more than I am willing to pay since this is likely a passing fancy if not a toy. Second on deck. The knockoffs. In addition to a nice one at Southeastern Camera locally there are the ones here and here. Nice, but after looking at all of these I realized being tied to a light stand and a power chord was a bit of a buzzkill. Third round flash modifiers. Looked at a couple of options, but having had luck with Neewer products in the past (TTL flash back when I was with the house of Nikon, and octagon and rectangular softboxes) I went with the <deep breath> Neewer Round Universal Collapsible Magnetic Ring Flash Diffuser Soft Box 45cm/18″ for Macro and Portrait Photography. WR or water resistant. I did not have a water/dust sealed lens yet to go with my gasket crazy K-3ii and a macro lens makes perfect sense. I plan on getting up close and personal with less than dry and contaminant free environs so this takes away some of my squeamishness. Metal construction with engraved text. My prior lenses were well built, but none went so far as to have an all metal build. Size. Looking at the specs this full frame compatible lens was physically smaller than the M43 Olympus and considerably more compact than the fellow APS Samsung. Pretty impressive packaging. Now that I mention it, full frame compatible. With a pending full frame Pentax body release on the horizon (K-1 since released and purchased) it is nice to know this lens will work with it. Price. Right in line with non-water resistant, non-metal, non-full frame offerings from other manufacturers. Further I bought mine used from Amazon (for $100-$200 less than list depending on where you look) which came in like new condition as stated with nary a mark or scratch and all paraphernalia (hood, caps, bag) in box. 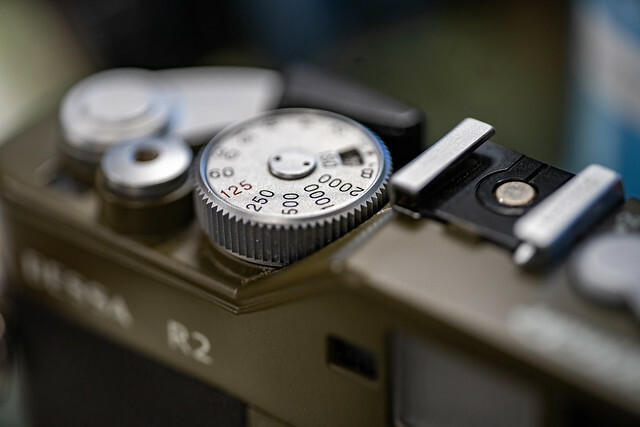 Lastly I was intrigued by the focal length which was the longest macro Pentax offered (the others being 35mm and 50mm). The Olympus 60mm crop worked out to roughly 120mm, the Samsung 60mm crop roughly 90mm, (Lord knows with frankenmacro) so I figured that the little extra reach the 135mm Pentax 90mm crop offered might be of benefit for macro and portrait photos. For macros it would give me space and for portraits it should help with compression and blur… or at least I hoped it would. Some on line and customer reviews griped about not having a focus limit switch, which is understandable, but with both AF macros I had previously I tended to switch to MF whenever I wanted to take a macro shot and here that is as simple as flicking the little lever on the from of the K-3ii. Plus I rather like the all of a piece retro-ish metal construction with no switches aesthetic (I know, nothing to do with creating images but it is a factor for me nonetheless.) so it is a trade off I accept easily. Samsung had IS in the lens, but like the Olympus this lens relies on the camera’s in body IS. In my experience this is the easiest lens to use for macro I have owned yet. Not that the others were bad, mind you, it is that this is the only one so far that did not leave me wishing for more light with macros. Many of the shots with the Olympus and the Samsung made use of a flash or even a flashlight, but I do not have a Pentax flash to my name and the macro shots below were taken with regular room light hand held. I am not sure whether this is owed to the in body IS, the optics, dark magic or some combination of the above, but the results are impressive. Note as of the writing of this post: This lens is no longer listed on the Pentax website as far as I can tell, Amazon (best price by $100 presently) has this lens listed as discontinued (but in stock) and it is on back order on B&H, but Adorama seems to have plenty (although with Adorama I did have an instance where I was not told that an item was back ordered until after I made the purchase and I requested a return). So if you want one you may need to act fast.